All parents want to give their children the right skills and knowledge they might need on their journey through life. As our society becomes increasingly more digitized, this often means teaching them computer science and coding. The problem is that small kids are driven by their imagination, and staring at a computer screen filled with boring lines of code rarely holds their attention for more than just a couple of seconds. Luckily, there’s an alternative. Interactive programmable games and small toy robots can be the perfect way how to teach kids how to code and program without forcing them to do something they don’t enjoy. We have selected four most popular products in this category that are sure to help your children learn the basics of coding. Osmo is a company known for merging the real world with virtual worlds to transcend the boundaries of education and entertainment. Their award-winning products have been adopted in over 15,000 schools in 42 countries around the world, helping children learn through fun experimentation. Osmo Coding is the latest creation of this innovative company. This time, the goal is to turn the complicated language of coding into its most primitive form and present it in as something tangible that children of all ages could instantly grasp. The result is a set of physical blocks that can be chained together to control a virtual character with a love for strawberries, Awbie. Players have to guide Awbie on his journey through the virtual world by using physical blocks with easily understandable symbols. Osmo Coding is a great social activity, allowing multiple kids to play on the same device. The setup procedure is completely painless, as the whole product is designed to work as a plug-and-play solution. According to research into computer programming education, this game is most appropriate for ages 5–12. Because it contains small parts, it’s not suitable for children under 3 years. 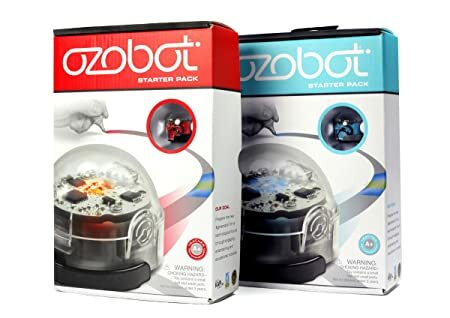 The Ozobot is a small educational robot designed to empower children to learn the basic principles of coding and computer science while having tons of great fun. It’s sold in a pack with 4 color markers, 20 games, reusable code stickers, USB charger, and protective cover. Little computer scientists can personalize their robots to look like comic book characters or, for example, dangerous monsters from outer space. 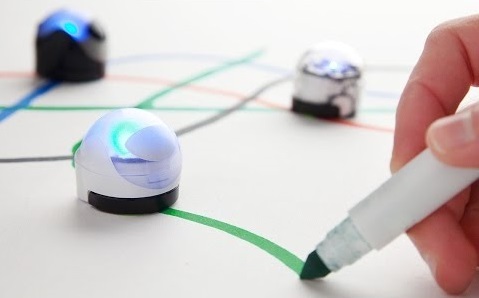 One way how to interact with Ozobots is by drawing lines and codes with color markers on a piece of paper. This is done with a simple programming language called OzoCodes, which are sequences of colors that trigger various actions. One code can make the robot turn around in the opposite direction, while other code can make it go faster or slower. When combined, it’s possible to create complex mazes, paths, and even entire worlds for Ozobots to explore. Those who would rather jump straight in print many different games, including puzzles, labyrinths, lucky mazes, obstacle loops, battlefields, and many others. The only thing required is a recent inkjet or color laser printer. Finally, you can transform your smartphone or tablet into an interactive game, using the Ozobot suite app. It includes three games: OzoDraw, OzoLuck, and OzoPath, all of which offers hours of fun. 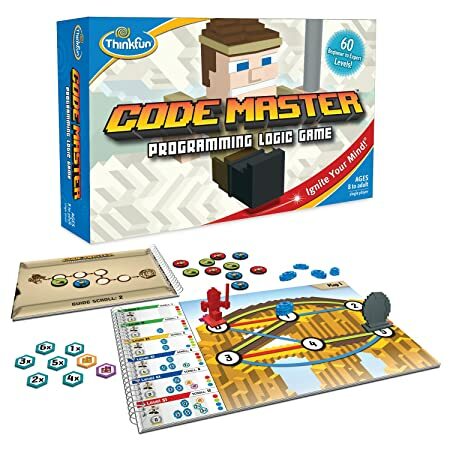 Code Master Programming Logic Game is a challenging board game designed to help kids develop the skills needed for computer programming. It features 60 logic puzzles in four difficulty levels. To solve these puzzles, players have to use programming constructions commonly found in real programming languages. The game starts out easy but gets challenging very fast. It can be played without any additional electronic devices. 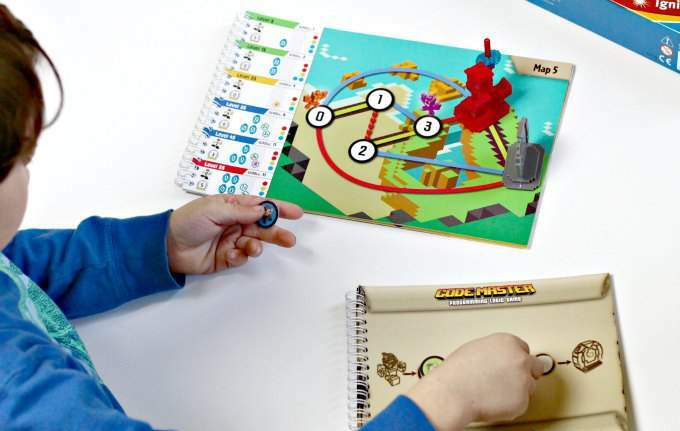 Code Master Programming Logic Game is also suitable as a group activity, encouraging children to not only practice their strategic thinking but also develop critical social skills. The design of the game is heavily inspired by Minecraft, featuring colorful blocky graphics and familiar characters. Going with Minecraft as the main theme for this game was definitely a right choice, as it makes it more likely that it will pique the interest of young developers. Code Master Programming Logic Game can be recommended to children who are, at least, 5 years old. What’s great about this board game is that children can grow with it as their mental abilities naturally increase over time. A 5-year old might be able to solve just a couple of the easiest problems, but give it a year or two and there won’t be a single challenge that could stop the young coder. 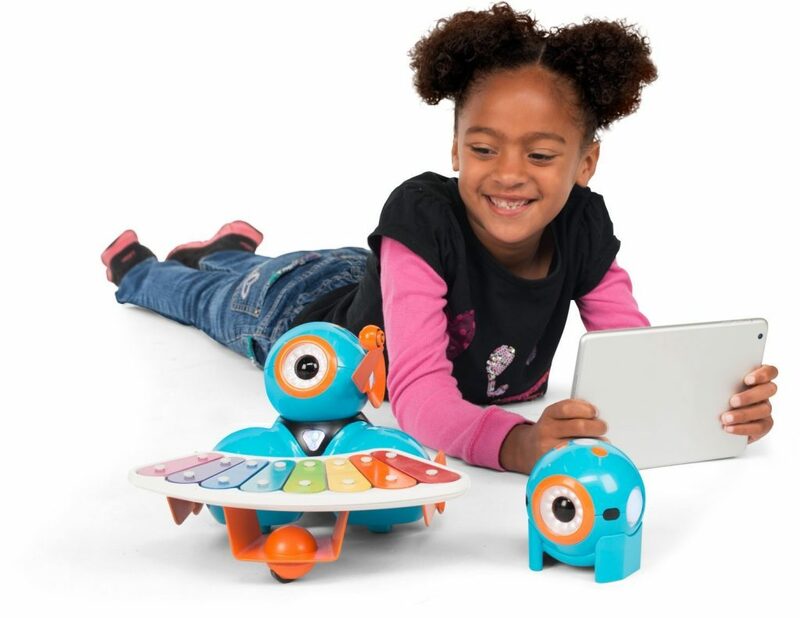 Dash & Dot are two ready-to-go robots designed to fuel children’s natural curiosity with hundreds of games and puzzles. The larger of the two robots, Dash, is able to respond to voice, navigate objects, dance, and even sing. Dash works with a range of apps that can alter the robot’s behavior and make it do interesting things. There’s Wonder, a picture-based coding language built for kids; Blockly, which introduces advanced concepts of coding through playful projects and puzzles; or Xylo, a tool using which kids can program Dash to play their favorite song or make new tunes of their own. Dot, on the other hand, is a small ball that comes pre-loaded with several exciting games and puzzles. Kids can customize their Dot using a range of accessories, including Bunny Ears, Building Brick Connectors, and Tow Hook. What’s great about these two robots is their affordable price and long play time of up to 5 hours. Once the battery is depleted, it can be charged back to its original capacity using a built-in rechargeable lithium ion battery. We have covered four different learning products, each with its own approach to teaching the basics of coding and computer science. It’s a good idea to let your children decide which one they would like to get, instead of picking one for them. No matter what they choice will be, the skill they learn will stay with them for the rest of their lives.